Automation is the key to productivity. Don’t we use computers so that they can do the repetitive, boring stuff while we focus on the creative, interesting things? 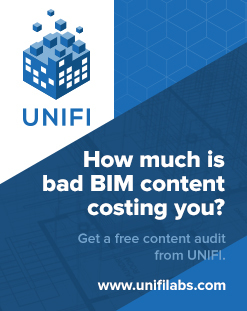 In BIM world, if there is something that is repetitive and requires little or no user interaction, it should be automated by some addin or script. RTV Xporter Pro is a great example of this. Basically, it allows automatic exporting to a number of different formats, with little user interaction required. You can set up task schedules to export the formats that you need, from the Views or Sheets in your Revit model. 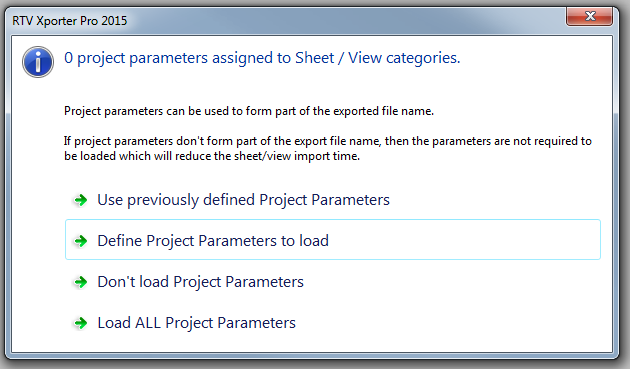 You can use parameters from inside the Revit model (Views, Sheets, or Project Parameters) to automatically generate the correct names for the exported files. You can even integrate with the built-in Revision Schedule in Revit. Coming from an architectural documentation background, I have spend many hours trying to find quicker ways of doing exactly these things. But RTV Xporter Pro takes a lot of the pain and guesswork out of it – you don’t have to reinvent the wheel, just use this to get the job done. 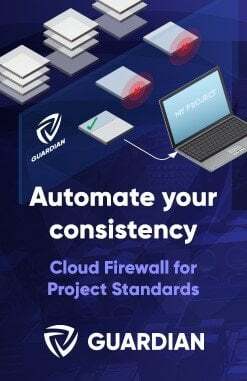 My current work is more on the subcontractor side, and I have seen the time involved in generating deliverables that need to comply with certain requirements. This addin for Revit can help automate these deliverables, meaning you have more time to meet other deadlines. This review is a collection of tip, links and resources to help you see the value in RTV Xporter Pro, and hopefully give you a head start in using the tool to accelerate your productivity. Once the pane loads, you will be able to choose between the Revit Sheets and Revit Views tabs. On the right, you will see a Batch Process section. The two little arrows can add selected items from the left (current Revit model) section into the right (Batch) section. … is very easy. Just add the Sheets you want, then click the Export button in the top-left. 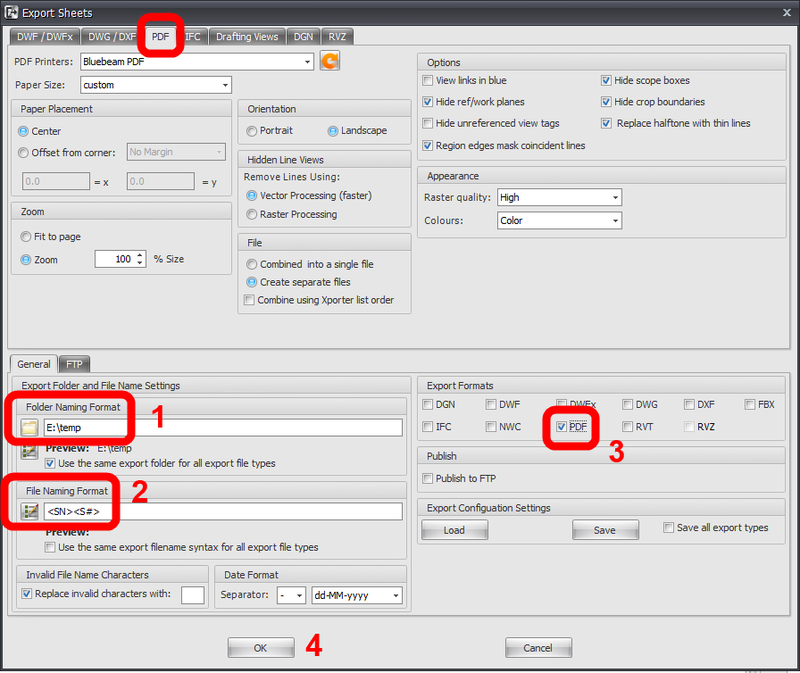 Tick the PDF box, and set any options you would like for target folder and naming, then click OK. Done! 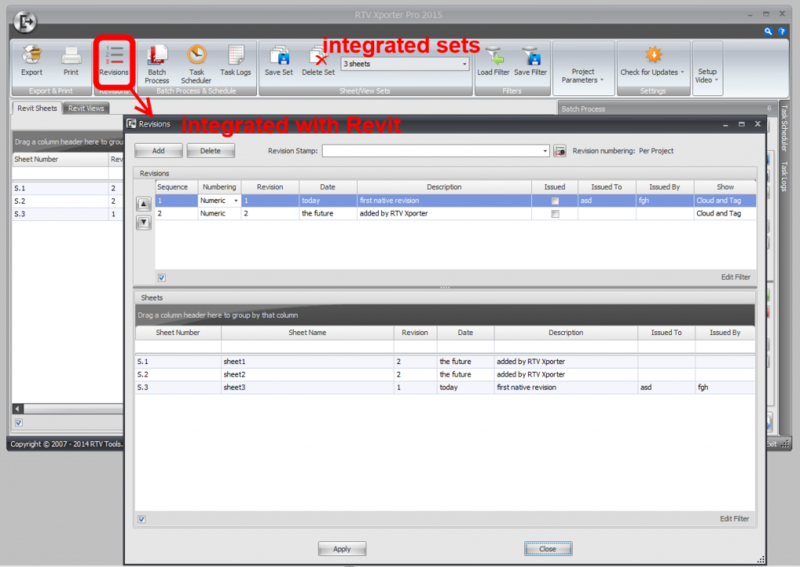 What about exporting multiple views to DWF, DWG, FBX, IFC and NWC with the click of a button? Add the Views you want to export to the Revit Views tab. 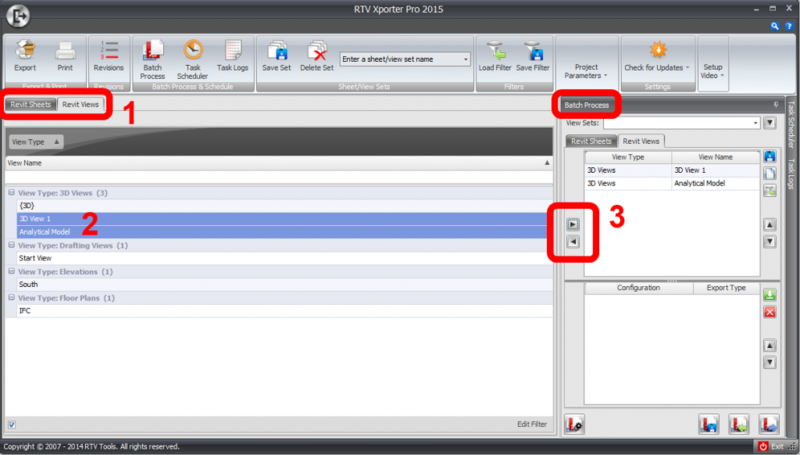 RTV Xporter can load and edit your Revit Revision Schedule. This means that there remains one point-of-truth for Revisions, and it is stored in your RVT file – great! 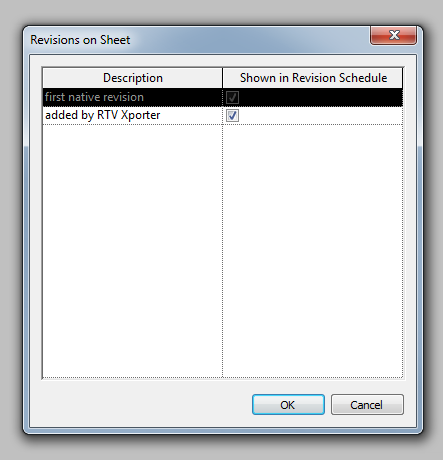 Additionally, the View / Sheet Set selections are also read and written by RTV Xporter straight into your Revit model. There is no external database to manage, and I must admit, I love that. Once you have purchased a license, RTV Xporter Pro is activated using the send email request… receive activation code method. I also reviewed some of the course material for the official Xporter Pro 2015 Training course, and there were some good step-by-step guides to get you started.